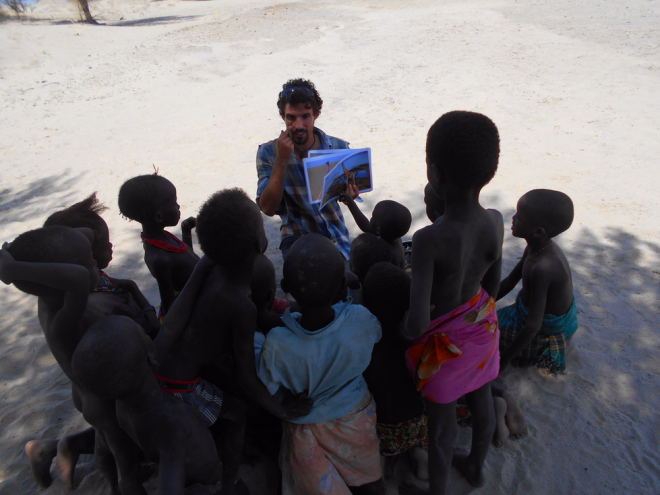 Miquel Torrents-Ticó is a PhD student at the Global Change and Conservation lab and a student member of the Helsinki Institute of Sustainability Science (HELSUS), University of Helsinki (Finland). In addition, he is a member of the Hyaena Specialist Group from the IUCN Species Survival Commission and a National Geographic Explorer. 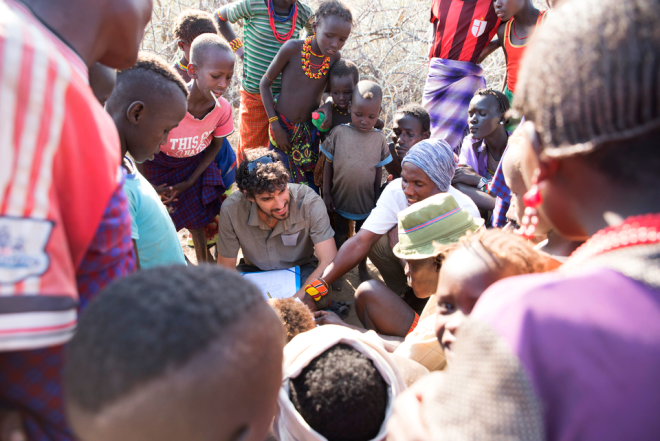 His conservation research interest originates from his deep fascination for wildlife, and in particular, in human-wildlife interactions. He has always been captivated by how species adapt to human-induced changes. However, his concern is if wildlife will be able to adapt to an increasingly human-dominated environment. His interest in human-wildlife interactions have taken him around the world, from tropical rainforests to arid deserts, enabling him to work with olive Ridley sea turtles (Costa Rica), common woolly monkeys (Ecuador), meerkats, Damaraland mole-rats (SouthAfrica), Chacma baboons (Namibia), and Spotted hyenas (Botswana and Kenya). His interest in conservation has grown alongside the ever-increasing conflicts between humans and wildlife. Like many of us, I grew up watching wildlife documentaries that started my fascination with the natural world. 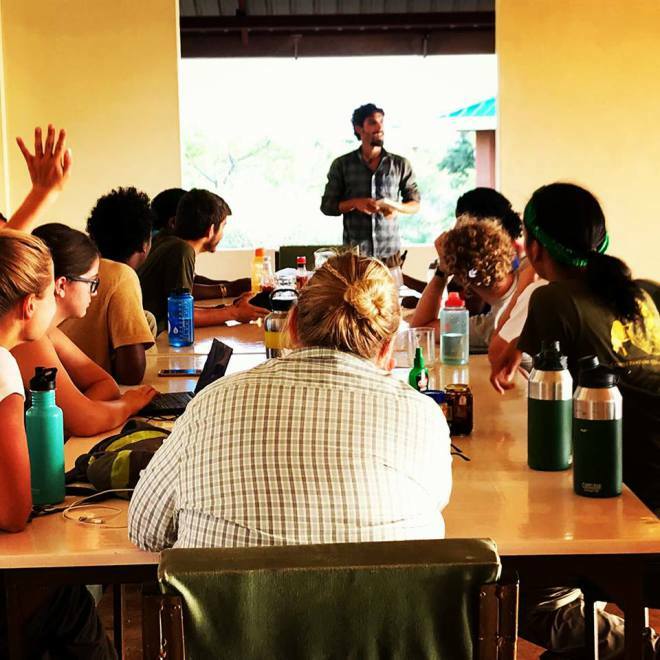 Subsequently, as a biology student, I had the great privilege of engaging with researchers on a diverse range of projects, and the effort and the passion for their work inspired me into a conservation career. But it was not until I finished my Bachelor studies and I started to travel more extensively around the world that I became acutely aware of the increasing conflicts between humans and wildlife, especially carnivores. I documented human-wildlife conflicts in most of the projects I participated in, involving a wide variety of species. This awareness now inspires my decision to work together with other conservationists, new generations, and local communities towards human-wildlife coexistence. There are several aspects that need to be changed such as the economic system and the consumerism. However, I believe the most important change has to be done in EDUCATION. A society aware of the repercussions and consequences of our actions towards the planet and passion ate for nature is essential. Moreover, in the long-term, the key is to empower people to change actions to care with the environment. I believe that emphasising our link with the planet could solve most of the problems we are facing. That is a very interesting and difficult question. I believe that listening is even more important than telling.Therefore, I would listen to their thoughts on why they do not see the importance of biodiversity. Then I would try to show them the beauty of nature, the existent human-wildlife interactions all over the world and why it is dangerous to ignore the loss of biodiversity for the well-being of our planet. Nevertheless, even if it was impossible to convince them, their opposition can be used as a strength for the rest of the society that is committed to the importance of the biodiversity. I believe that the first encounter with any species is memorable. For instance, I remember the first time I saw an Olive Ridley sea turtle in Costa Rica. I was sitting on the Camaronal beach at night with my torch off. Then, suddenly, I noticed something touching my feet. As I carefully switched-on my torch, I saw a sea turtle laying eggs next to me. It was an incredible experience to be present during this intimate and crucial moment of the female’s life. More recently, I was conducting a calling station ― using playback from different vocalisations to attract hyenas―with my supervisors (after many months of preparation). Then unexpectedly three Striped hyenas approached to us! The striped hyena is listed by the International Union for Conservation of Nature (IUCN) as near-threatened and it is very difficult to see them in the wild, so this was a wonderful moment to be a part of. Finally, the first time I saw the setting sun over the red sand of the Kalahari Desert, my eyes were filled with wonder at seeing this beautiful and rare site. The great motivator of conservation is that everybody is valuable, and I think that everybody can learn something from each other. Starting with the most well-known and charismatic conservationists such as Sir David Attenborough, Jacques Cousteau and Félix Rodríguez de la Fuente to the less-known: local communities, students and of course my colleagues. Local communities that without directly knowing it, through their traditions and their link with nature they are conserving wildlife. Students that with their interest in class spread the importance of conservation to their parents, families and friends. Finally, I am very lucky to work with an incredible group of people very committed and engaged with different conservation projects that inspire me every day.